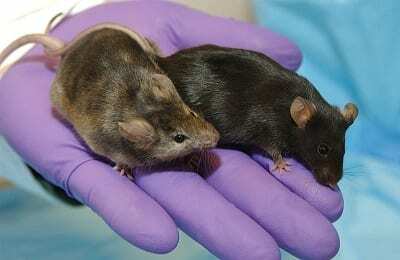 Exposure to chemicals used in hydraulic fracturing has been connected to reduced sperm count in adult male mice. Hydrualic fracturing, the controversial oil and natural gas drilling technique, more commonly referred to as fracking, has been linked to several negative effects including earthquakes, water contamination, health problems and, most recently, premature births. Now, new research conducted on mice has shown that chemicals used in the fracking process can damage the reproductive health of male mice, by potentially causing lowering sperm count, larger testicles, and higher levels of testosterone. The researchers discovered 23 chemicals used in hydrofracturing were endocrine-disrupting chemicals (EDCs). According to a press release from the Endocrine Society, scientists tested 24 chemicals that are used in the fracking process and found that 23 of these chemicals were EDCs. EDCs can mimic, block or interfere with hormones in other ways. Hormones are the body’s natural chemical messengers that act via receptors to regulate cell activity and biological processes, among which include reproduction. EDCs have been connected to multiple negative health effects, including diabetes, obesity, cancer, neurodevelopment issues and birth defects. The fracking chemicals used in the study were tested alone and in mixtures to determine their ability to inhibit or activate action of the thyroid, androgen, estrogen, progesterone, and glucocorticoid receptors, using a “human cell-based assay.” The new study was published in the Endocrine Society’s journal Endocrinology. More research is needed to determine the effects fracking chemical exposure has on health. During the study, pregnant mice were exposed to the EDC chemicals in levels that reflect what humans are likely to encounter when drinking water that has been exposed to fracking fluids. When the scientists observed the male offspring in adulthood, they discovered that these mice had lower sperm counts, larger testicles, higher levels of testosterone and even “persistent effects on the structure of the heart,” compared to the control group. That being said, in spite of the study’s findings, more research needs to be conducted to clearly determine the actual health risks that exposure to fracking chemicals has on animals and humans.